Videos : Oilers crowd turns on the home team after catastrophic first period. Oilers crowd turns on the home team after catastrophic first period. Fans in Edmonton are running out of patience. Although you certainly can not call this a positive news story, it may actually produce some positive results for a fan base that has been dealing with it's frustrations for far too long at this point. On Sunday night the Edmonton Oilers welcomed the Carolina Hurricanes to Rogers Place and the Oilers were looking for a big bounce back game after having just suffered a difficult 5 - 2 loss to the Calgary Flames in the Battle of Alberta. That loss had also occurred in front of the Oilers home crowd so I think it was safe to say that the Oilers faithful were also hoping from a strong bounce back effort from their squad. Unfortunately for both the Oilers and the home town crowd in attendance they got nothing of the sort. Instead the effort the Oilers put out last night has been widely criticized as one of the worst performances the team has had all season, a performance that has earned the Oilers some scathing criticism from just about every media outlet. It was the kind of putrid performance, the kind of ghastly game and the kind of empty effort that results in people being fired and players being traded the next morning. The Oilers were so pathetic, so miserable, so deplorable to start the game they might as well have stayed in the dressing room to watch the finish of the NFL overtime playoff game between the New England Patriots and Kansas City Chiefs. The first period was particularly bad for the Oilers who where thoroughly dominated through the first half of the frame. It was nearly 10 minutes of game time before the Oilers even registered a single shot on goal and by that time the Hurricanes had already put up a pair of goals and had already chased goaltender Cam Talbot out of the Oilers net. 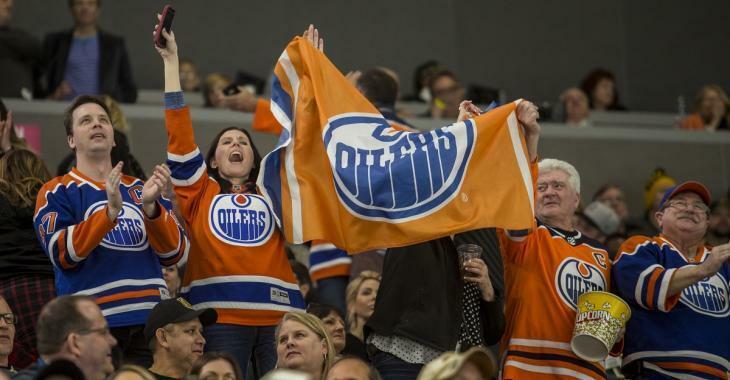 Perhaps the worst sign of things for the Oilers however was how their home town fans, one of the most inexplicably loyal fan bases in the entire National Hockey League, turned on the team early in the first period. As I mentioned it took nearly 10 minutes for the Oilers to record a shot on goal, and when they did their fans let them know exactly what they think of the current state of their team.